Team PETRONAS Yamaha CKJ’s Ahmad Afif Amran was the man in charge as the 2015 PETRONAS AAM Malaysian Cub Prix Championship lands on its mid-season round in Melaka. Afif topped the CP130 time sheets with his fastest lap of 48.622s. 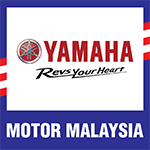 0.202s off Afif’s pace, Md Adib Rosley of team Motul Yamaha YY Pang logged the second fastest time of the day with 48.824s followed by Yamalube AHM’s Ahmad Fazrul Sham with 48.849s. Comeback kid Zaqhwan Zaidi, back on track with bike No. 1, was eighth fastest with 49.236s. Coincidentally, Zaqhwan was the fastest of the Honda contingent. “This is the second time in five rounds that I have been able to clock the fastest time during the practice sessions. This bodes well for the bike’s speed and durability for the season. In the previous leg at Terengganu, which coincidentally was my home state, we faced some suspension problems which required the team to change to a new suspension system this round. My quickest lap today was clocked on old tyres which makes me even more confident of going faster during the super pole,” said Afif. In the CP115 class, wonder kid Kasma Daniel Kasmayuddin of team PETRONAS Yamaha Maju Motor once again proved his mettle when he became the only CP115 rider to lap beneath the 50-second mark. Kasma posted a fastest lap of 49.756s. Motul Yamaha YY Pang’s Tengku Amirul Haffirudin was second fastest with 50.063s followed by PETRONAS Yamaha-CKJ’s Md Izrul Huzaimie Amran who clocked 50.339s. Finally, Md Harith Farhan Baharin, Saiful Izman Ahmad Zamani and Md Khairul Ikhwan Ajis topped the Wira timesheets with 50.306s, 51.039s and 51.042s respectively.